As you’re watching the Super Bowl LIII on Feb. 3, keep an eye out for a special member of the Los Angeles Rams in the crowd. No, he won’t be playing on the field, but he’s definitely considered part of the team. 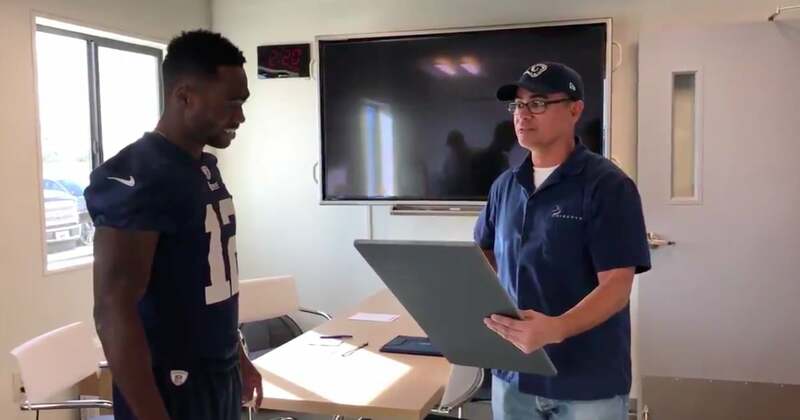 Alfonso Garcia, the Rams’ custodian, will get to celebrate game day in Atlanta with his son, thanks to a gift from wide receiver Brandin Cooks. “This is a dream come true, man,” Alfonso responded emotionally. “Ever since I was a little boy.” Watch the touching moment above. No matter who you’re rooting for, it’s easy to be a fan of thoughtful gifts like these.